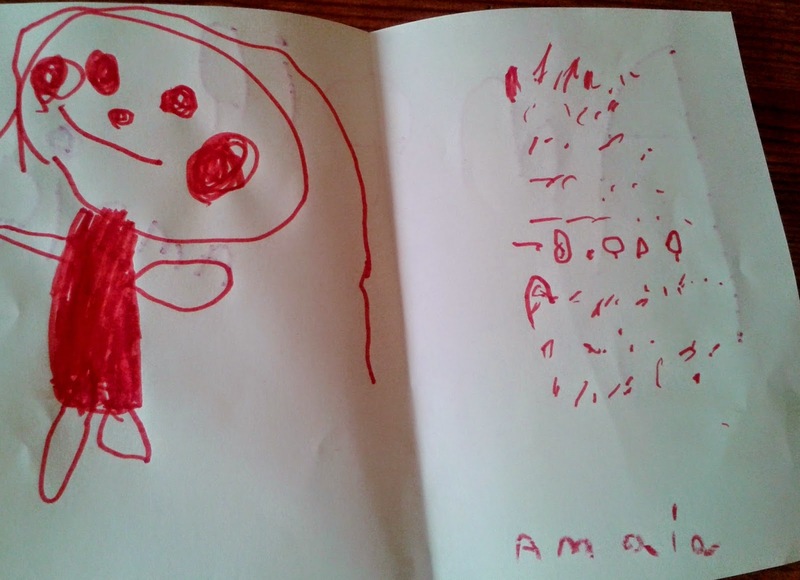 Today Amaia proudly presented me with her first novel! "Look mummy! I've written a book. It's about me as a princess with red cheeks... I couldn't be bothered writing it with real letters though so I just made up pretend language because that was quicker, and then I signed it afterwards!" the most exciting novel I have read today! I am looking forward to Amaia's literary development. The most exciting novel I have read today.